What if there were a medication that could significantly aid alcoholics in their recovery? Recently there has been renewed attention given to two such medications. A New York Times article reported that naltrexone and acamprosate can be used to reduce cravings for alcohol. These two medications were approved for use a decade ago, but remain under-utilised because of misunderstandings about their clinical effectiveness and a general lack of awareness about their use. What if there were a medication that could significantly aid alcoholics in their recovery? Recently there has been renewed attention given to two such medications. 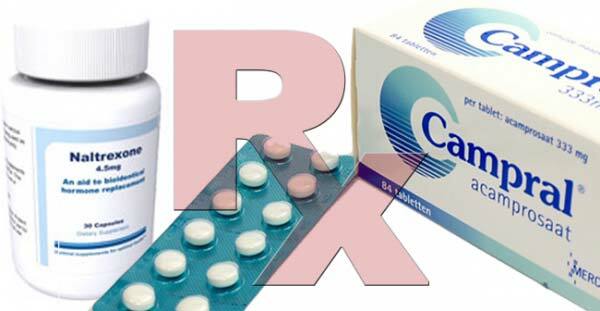 A New York Times articlereported that naltrexone and acamprosate can be used to reduce cravings for alcohol. These two medications were approved for use a decade ago, but remain under-utilised because of misunderstandings about their clinical effectiveness and a general lack of awareness about their use. Alcohol abuse remains a common addiction in many countries. In the United States, approximately 7.4% of the general population have alcohol dependence or an alcohol abuse disorder. This figure is approximately 3.5% in Australia, 2.8% in Japan, and 11.1% in the United Kingdom. Alcohol abuse and dependence have many negative health effects which range from physical, mental, and social, as well as accidents. Globally, 3.3 million people die every year from the effects of alcohol abuse. Because of the prevalence and high-risk associated with alcohol abuse, public health officials are interested in methods to reduce drinking. Moreover, there has been renewed interest in the use of naltrexone and acamprosate in the USA as the country recently passed healthcare legislation making addiction treatment more accessible. Mental health disorders, including alcohol addiction, are now frequently covered by insurance, meaning that more people seek treatment and there is a greater desire to find treatments that work. How do these medications work? Naltrexone blocks the brain’s opioid receptors, which are involved in signaling a reward when alcohol is consumed. It therefore helps to reduce cravings, because alcohol is not felt to be as pleasurable. This helps to reduce relapses to drinking, but is not effective in every patient, likely due to genetic factors. Acamprosate is not as well understood, but is currently thought to mitigate withdrawal symptoms such as restlessness, anxiety, insomnia, and depression. The two medications, while not effective with every patient, have been found to decrease cravings for alcohol when used in conjunction with therapeutic support and counselling. The statistic used to measure their effectiveness is “the number to treat,” or the number of people who must take a pill for one person to actually be helped. For every 20 people who receive naltrexone, one is helped, while for every 12 people who receive acamprosate, one is helped. This is much more effective than an older medication, Antabuse, which blocks the body’s ability to absorb alcohol and causes those who drink to experience nausea. The research on these medications also underlines the need for professional counselling services and psychotherapy as the key methods to achieve behavioral change. According to the National Institute on Drug Abuse, comprehensive care which addresses the whole life of the addict is crucial for effective treatment. If you are concerned about addiction, please contact one of our specialists today to arrange a consultation. The Hidden Costs of Addiction A 5-Step Guide for Dealing With Drunken Mistakes in Recovery The Pleasures of Quitting Alcohol: Look Good, Feel Good, and Empower Yourself Does one of your staff have an addiction problem?